Popduds selects 5 charities each year to receive a portion of the profits. Each customer is allowed to choose which charity receives a donation on their behalf. If you know of a charity that could use a hand, please contact us and nominate them! Feeding America (formerly named America's Second Harvest) is the country's leading hunger-relief charity. Feeding America is a nation-wide network of more than 200 food banks and food rescue organizations that serve virtually every county in the United States. If you select this charity at checkout, a donation will be made on your behalf to help provide food and grocery products to men, women and children facing hunger in our country during these difficult times. Kiva is the world's first person-to-person micro-lending organization, empowering individuals to lend directly to unique entrepreneurs in the developing world. 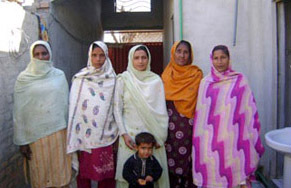 Donors lend to local financers who distribute the loan to the selected recipient. After the loan is paid back, the donor can re-lend that money to a new borrower. If you select this charity at checkout, a donation will be made on your behalf to give an aspiring entrepreneur the economic means to lift themselves out of poverty. When repaid, your donation will be recycled to help others. The JHU Tutorial Project is the oldest volunteer organization at Johns Hopkins University. 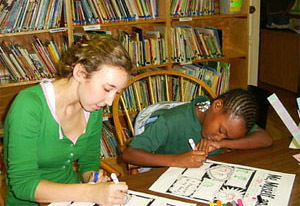 Through this program, undergraduate volunteers are paired up with Baltimore City elementary students for one-on-one tutoring in reading, math, and geography. Trained tutors plan an hour of activities and educational games that are specifically selected to meet each child's needs, based on assessments conducted at the beginning of the semester. If you select this charity at checkout, a donation will be made on your behalf to help purchase books for the children to take home at the end of each semester. 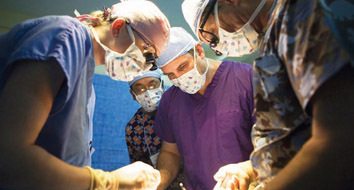 Operation Smile mobilizes a world of generous hearts to heal children's smiles and transform lives across the globe. Since its founding, Operation Smile volunteers have treated more than 120,000 children born with cleft lips, cleft palates and other facial deformities and the organization has a presence in 51 countries. If you select this charity at checkout, a donation will be made on your behalf to pay for an operation for a child in need. Greyhound Welfare is a greyhound rescue and placement group. 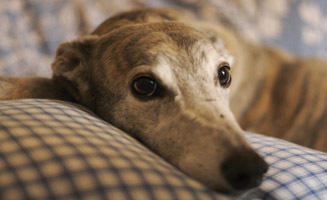 This charity places ex-racing greyhounds in loving homes throughout the metropolitan Washington DC area (MD, VA and DC), and in New England (MA, RI, NH). The volunteer staff facilitates the greyhound's adjustment to their new world and helps find the perfect match with their new owners. If you select this charity at checkout, a donation will be made on your behalf to help place a rescued greyhound in a loving, permanent home.